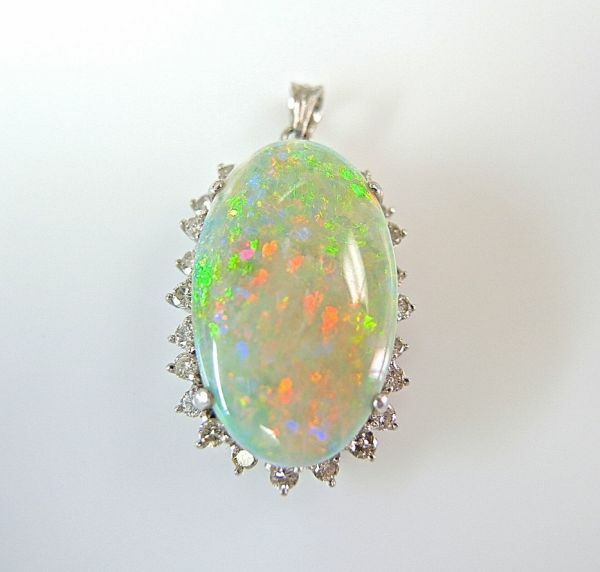 A beautiful vintage 14kt white gold pendant with 1 oval cabochon reddish orange - yellowish green opal, est. 15.79ct and 24 brilliant cut diamonds, est. 1.08ct (VS-SI1 clarity: H-I-J colour).